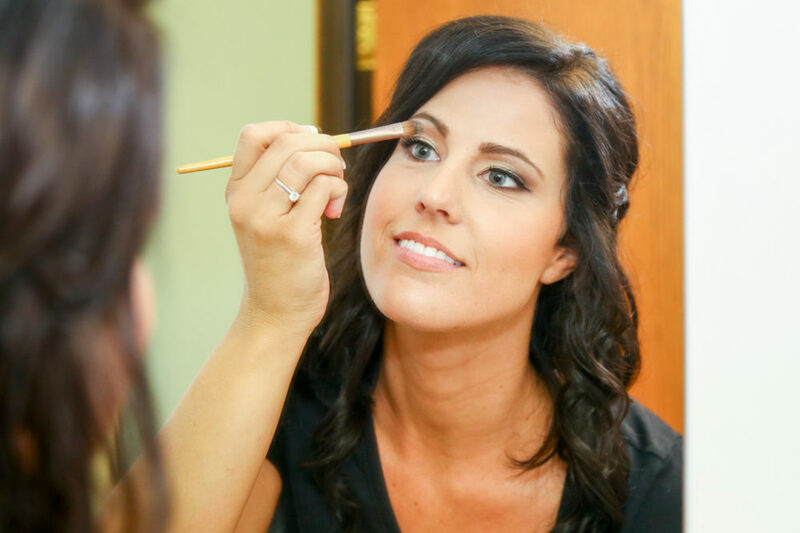 We first met Sarah last year when she was a bridesmaid for Nathon and Maria's Lansing wedding at St. Mary's Cathedral. 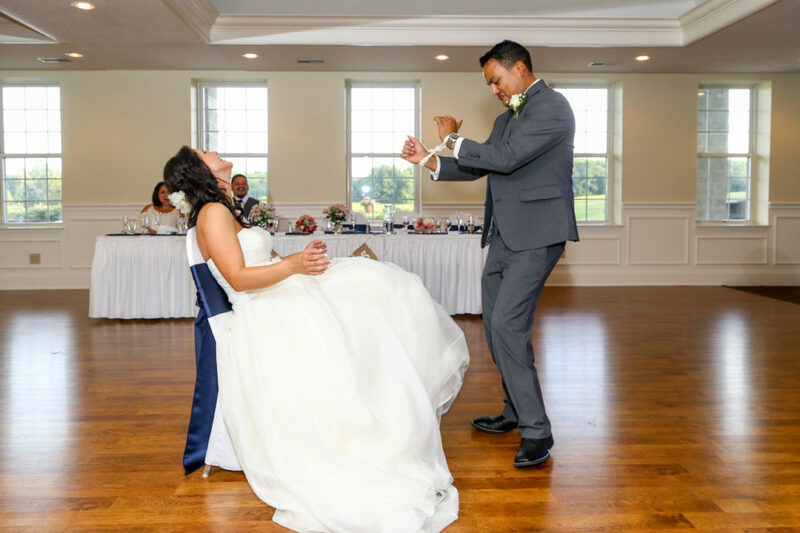 Though she may have only been a bridesmaid for Maria, for her and Carlos, June 18 was the "Best Day Ever". 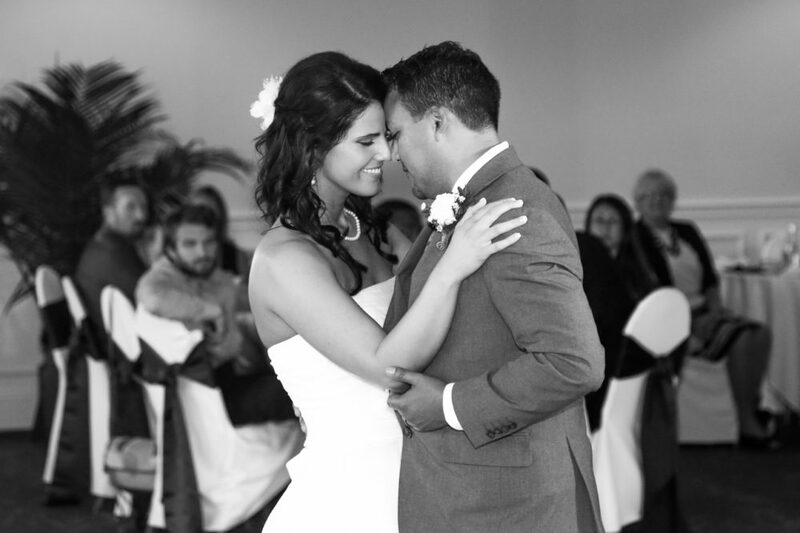 Not only did these two commit their lives to one another, but their story is beautiful. Sarah grew up the youngest daughter of a local Lansing pastor. That means Carlos married the preacher's daughter. 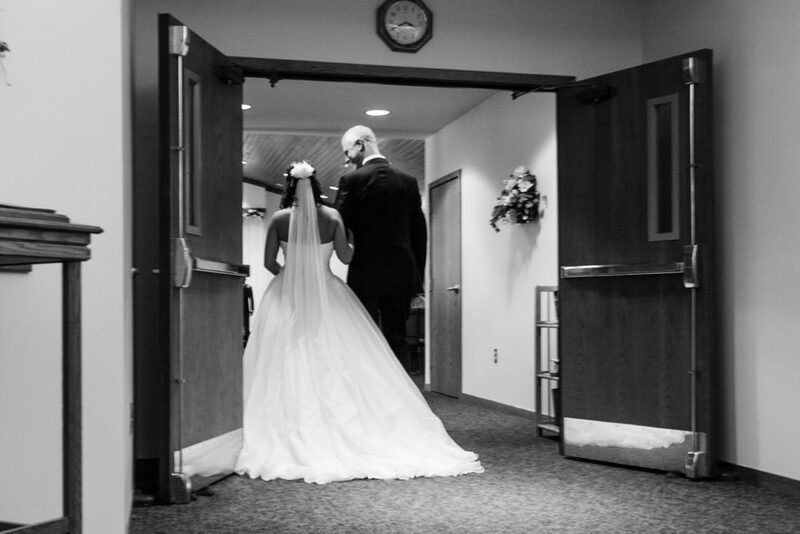 Not only did Sarah's dad walk her down the aisle and give her away, he also married her. 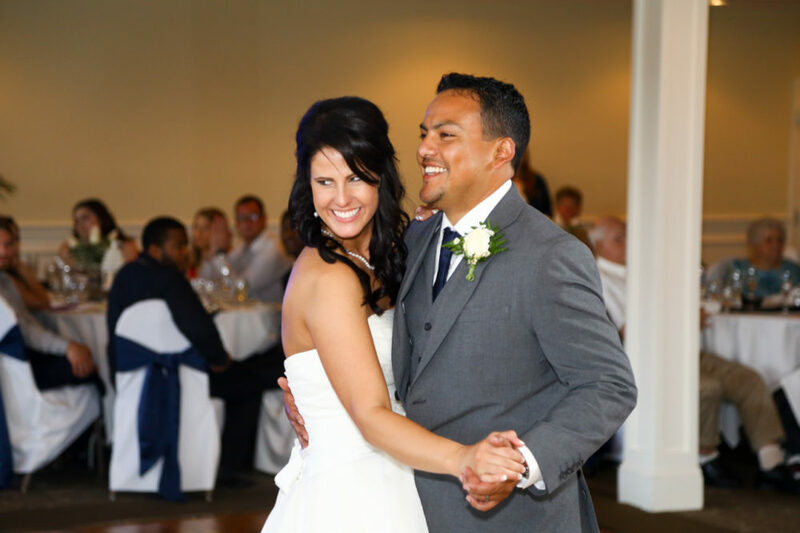 Carlos and Sarah met in Texas after she moved out of Michigan for work. She might be from Texas, but she got there as soon as she could. Carlos and his groomsmen, almost all from Texas made sure to incorporate at Texas feel into their wedding day. That included cowboy boots and a little bit of country music. 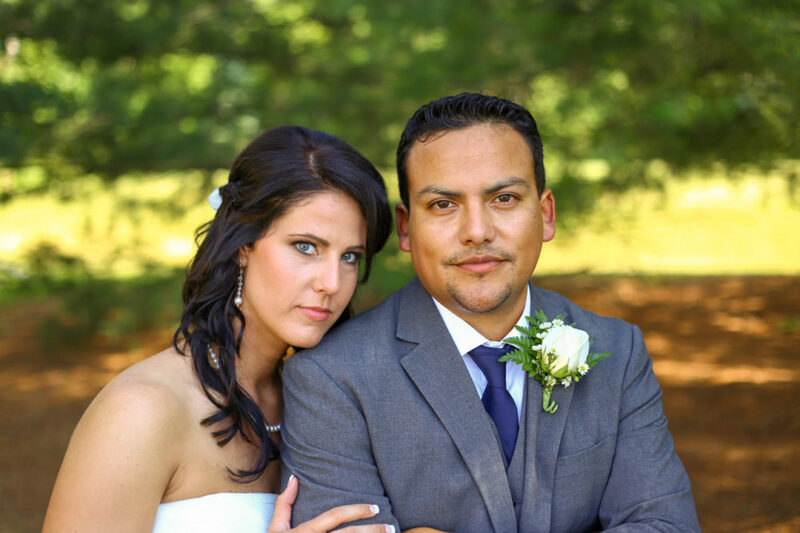 After a beautiful ceremony from Sarah's father, we headed over to Hawk Hollow where the intense June heat meant we wanted to keep Sarah, Carlos and their wedding party in the shade as much as possible. These two were so intimate together in front of the camera and one of the best parts of the day for us was watching Carlos get Sarah laughing (See the series of laughing photos below). Dinner and dancing commenced at Hawk Hollow and toward the end of our time with them, we made sure to take advantage of cooler temperatures, a beautiful golf course and near perfect light. 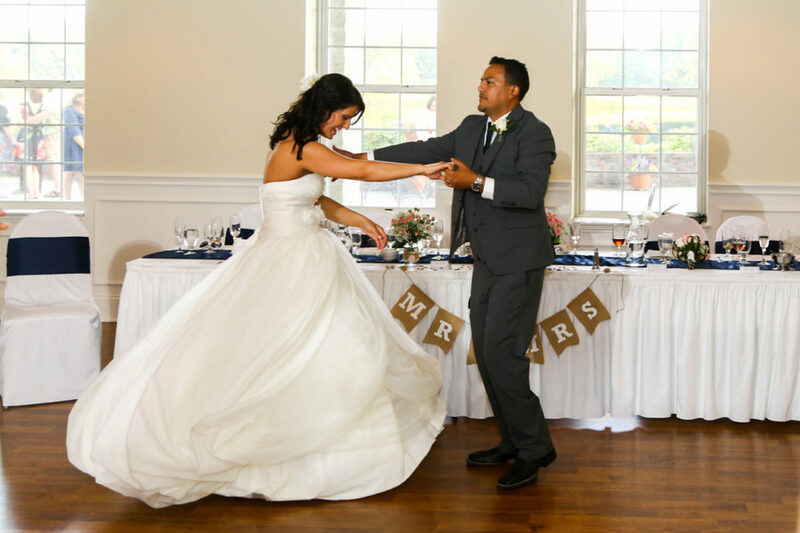 If you love what you see, be sure to leave a comment below and let Carlos and Sarah know which photos are your favorite. 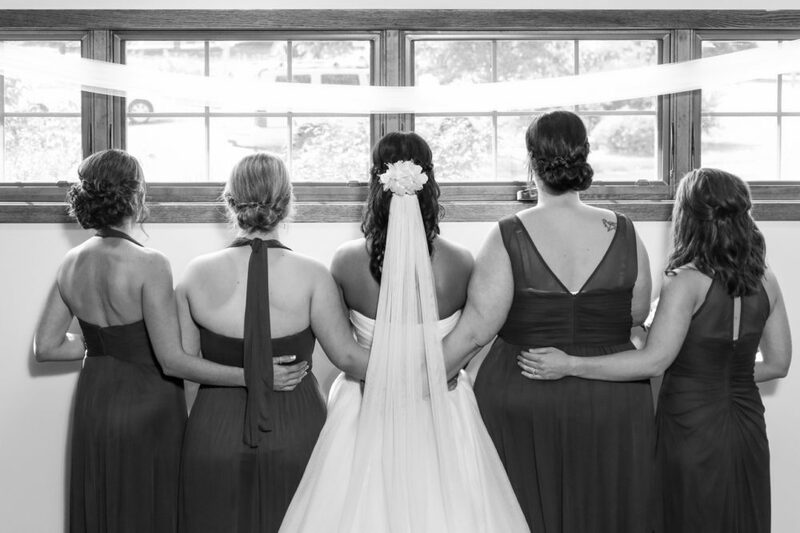 Or you can visit their complete wedding gallery online by clicking here. 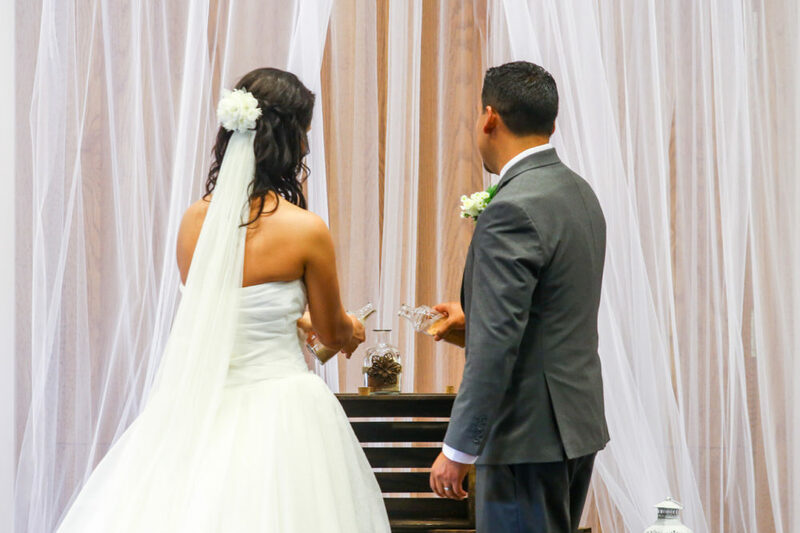 Wood designs throughout the day were a mainstay, along with a sand ceremony that included Texas sand and Lake Michigan sand. 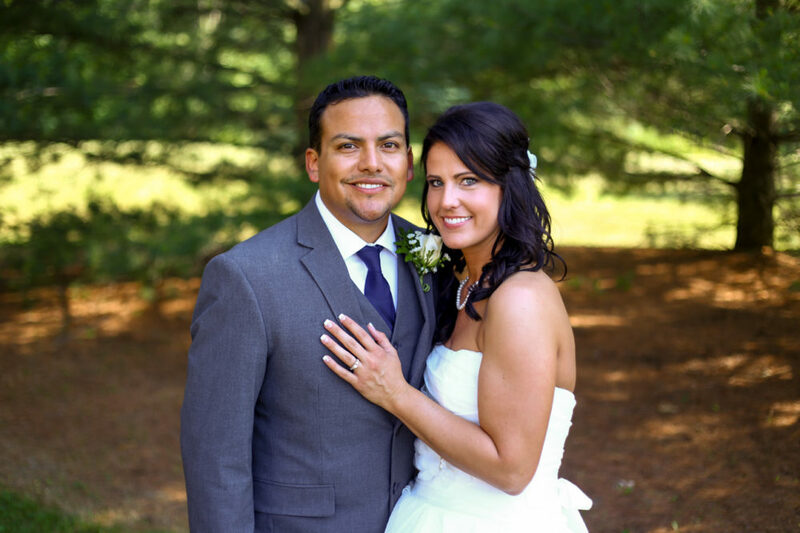 Carlos and Sarah took a few minutes to "see each other" before the ceremony. 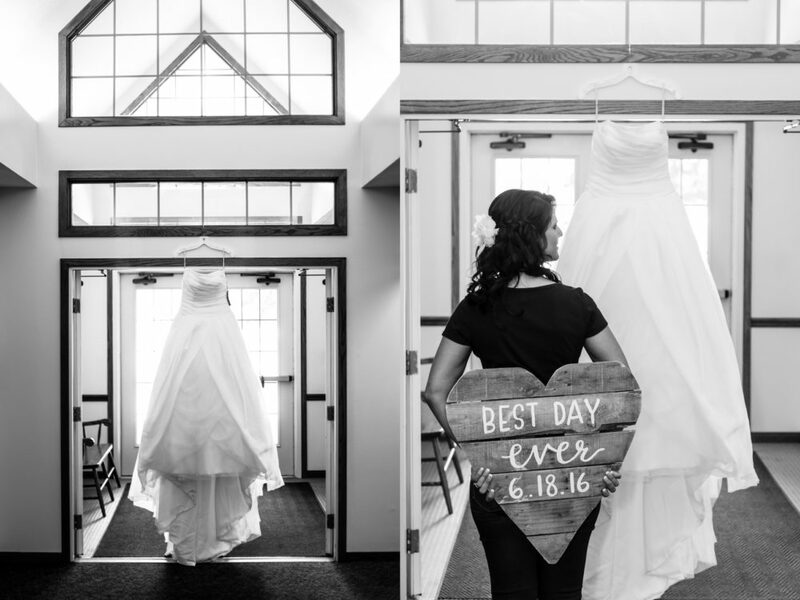 This is a great alternative to a true "first look" on a wedding day. 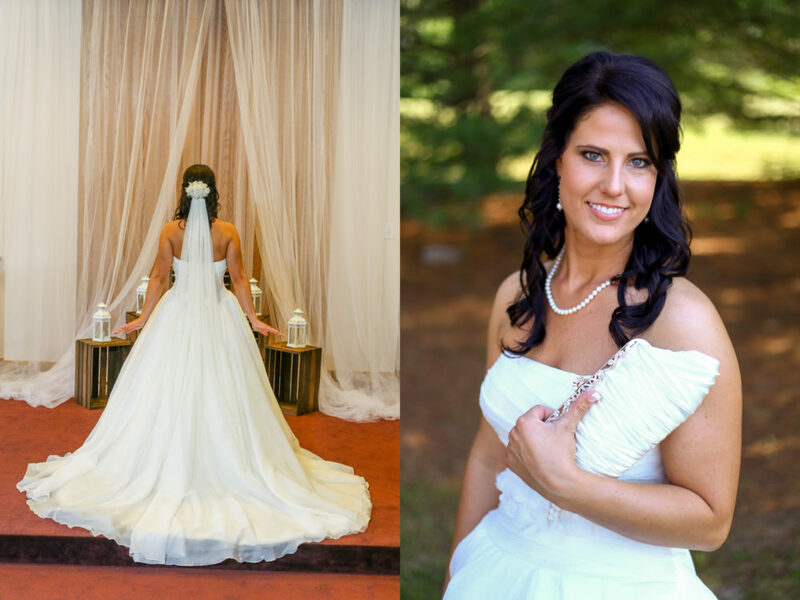 Sarah looked stunning in her gown from David's Bridal and simple white pearls. 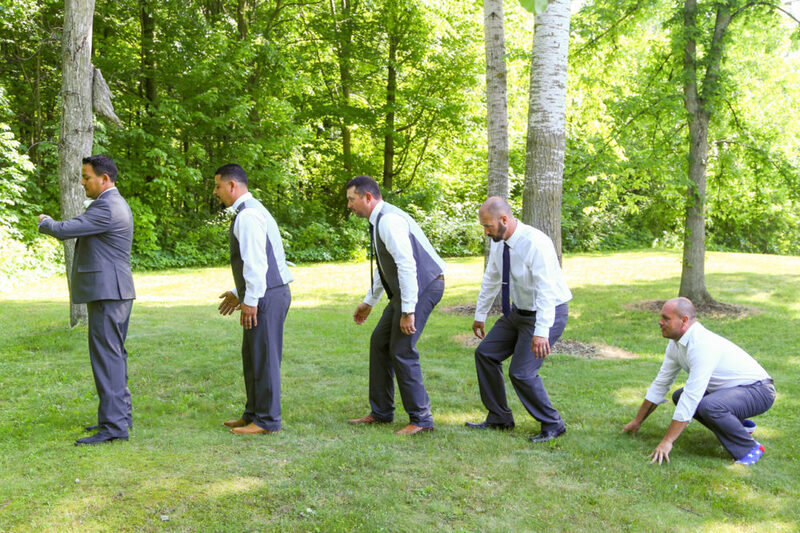 The evolution of a groom. Shade was a game changer for Carlos and Sarah, since the temperatures were in the high 80s and low 90s throughout the day. Watching Carlos get Sarah to laugh was a sure fire way for us to capture an intimate moment with these two. 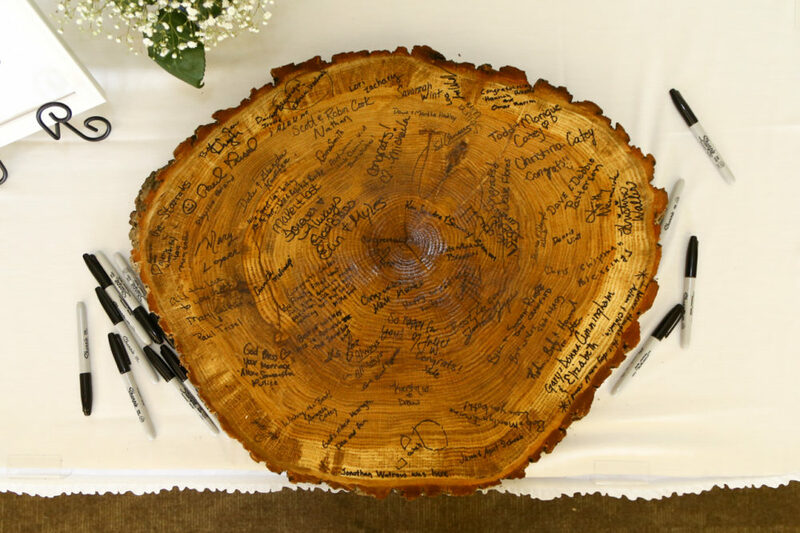 A home made guest book that was from a cut log was a unique way for Carlos and Sarah to remember their wedding guests.